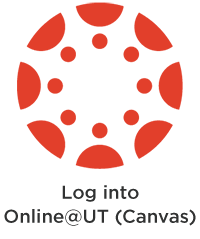 Online@UT (Canvas) is the official, supported, Learning Management System (LMS) for the campus. Canvas is stable, convenient and easy to use. No wonder over 2,600 instructors in over 4,100 courses are using it (Fall 2017). Canvas is updated with bug-fixes and feature enhancements every three weeks, so software issues are addressed in a timely and efficient manner. Canvas Help is just a click/phone call away. In your Canvas course! Click the Help icon on the bottom left of any page for quick help documents. Of course, you can always simply call the OIT HelpDesk at 865-974-9900. Canvas courses are available to faculty two months in advance of the next semester and two weeks prior for students. Enrollments are managed via Banner. The Class Photo Roster for faculty is available in MyUTK, linked from all Canvas course sites or directly available at MyUTK. Calendar + Notifications = Informed Students. Enter important due dates, etc. in your Canvas course and your students will receive message alerts depending on how they choose to set up their personal Notifications. Canvas makes assessment more engaging. Assessments in Canvas provides access to the SpeedGrader, the ability to provide feedback to students via text, audio, and even video, interactive scoring rubrics and student performance metrics. Assignments can be checked for plagiarism using the Unicheck application. Video and audio recording capability is built into Canvas. Via the text editor, Canvas makes it easy for all users to record audio and video. Additionally, other media (YouTube, Lynda.com, TED Ed, etc.) can be embedded into your course site. Canvas helps make your course accessible to everyone. The built in Accessibility Checker in the Rich Content Editor makes it easy to check for and fix common accessibility errors. Canvas provides detailed course analytics. Course analytics come in four main categories: Activity, Submissions, Grades, Student Usage Analytics. You can take a quick view of how students are doing in your classes and identify potentially at-risk students. Canvas is mobile, just like you. Canvas Apps for iOS and Android work on tablets and phones and provide both faculty and students access to most Canvas features. Sign up for Online@UT (Canvas) email notifications to stay abreast of important system updates, announcements, and feature focus articles. Email addresses are not shared, and information is sent only as needed. It’s open to both faculty and students. Sign up today! How can I learn more about Online@UT (Canvas)? Visit our Canvas Resources for Faculty page to find helpful video tutorials and to access the easy to use Canvas Guides. The step-by-step instructions and instructional videos will get you up and running quickly. You’ll also find links to workshops and additional resources to make your Canvas experience successful. Visit our Canvas Resources for Students page to find helpful video tutorials and to access the easy to use Canvas Guides. The step-by-step instructions and instructional videos will get you acclimated to Canvas quickly.